A boat crash can significantly alter your life, impacting your physical well being and your financial security. If you have been affected by the negligence or recklessness of another party, contact a qualified boat accident attorney immediately. The LaBovick Law Group is here to protect your rights. Get answers quickly with a free online boat accident case evaluation. There are nearly one million vessels registered in the state of Florida, more than any other state in the US. It is no wonder why residents and visitors alike flock to the coast, lakes, and streams of the Sunshine State. With mild-year round temperatures and stunning scenery, we offer bountiful opportunities for fun in the sun. But with all that traffic, and the various levels of experience of vessel operators, Florida also leads the nation in the number of boating accidents and fatalities. It is a statistic that should give boaters pause; safety is your number one priority. And when you are in an accident, protecting your rights is ours. In 2017, there were 684 boat accidents in Florida. The second highest state was California, at 386. With nearly 36,000 registered vessels in Palm Beach County. The FWC reported 41 “reportable” accidents (those that involve a death, disappearance, injury requiring more than first aid, at least $2000 in property damage, or total loss of a vessel). In Palm Beach County, there were three fatalities, 16 injuries, and almost $500,000 in damage. The chances of being involved in a boat crash for Palm Beach County boaters is 1:905. The most common accidents are: Collisions with other vessels, Collisions with fixed objects, Swamping or flooding, Falls overboard, Grounding and Drowning accounts for most boat accident fatalities (69 percent), with trauma resulting from collisions (29 percent) the second leading cause of death. Failure to obey of navigation rule. Never boat and drink. Alcohol consumption impairs judgement and impacts reaction times. This can spell disaster on the water when an operator is intoxicated. In legal terms, this means a blood alcohol content of 0.08 or more for those 21 years and over. For underage individuals, a BAC of 0.02 or higher is legally intoxicated. Drinking is also hazardous for passengers. One of the leading cause of boating fatalities is drowning. If a passenger has been consuming alcohol and falls overboard, they may not be able to take the proper steps to remain safe. Educate yourself on boating safety and navigation rules. Boater safety courses are mandatory for those born on or after January 1, 1988. All boaters, however, can benefit from this education, and if it’s been a while, a refresher course can be quite helpful. Schedule a free vessel safety check. The US Coast Guard conducts free safety checks. They will inspect life jackets, registration and numbering, ventilation, fire extinguishers, distress signals, battery covers and connections, and navigation lights. If you pass, you receive a USCG decal that lets USCG, harbor patrol, and law enforcement know your boat is in full compliance with applicable state and federal boating laws. And if not, the USCG will not issue a citation; they will provide you a list of recommendations. Remember, though, if your vessel is inspected by the USCG while you are operating it and any of the aforementioned items is missing/nonfunctional, you can be issued a citation. Better to have a free check before and get these issues resolved. Check the weather. Before you head out, check an up-to-the-minute forecast. Storms can come on suddenly and create hazardous boating conditions. Wear a life jacket. Every adult passenger should have a life jacket; the law requires them to be “accessible.” It is safer, though, to wear them. Children must wear life jackets at all times. Make sure they are specifically designed and fitted for children. Stay aware. Keep an eye out – constantly – for other vessels, swimmers, personal water crafts, fixed objects, and other risks. Despite your best efforts, however, other parties may cause an accident because of their negligence or recklessness. If you are injured in a boat crash, contact an experienced maritime injury lawyer. Our team is well-versed in maritime law and has been representing aggrieved clients for over 25 years. When you are owed compensation, we will fight tirelessly until you receive it. Here is what to do after a boating accident. 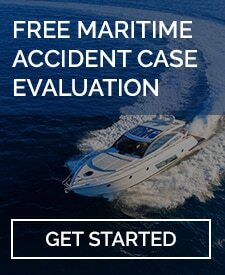 If you or a loved one have been injured in a Boca Raton boating accident due to the negligence or recklessness of another party, try our online boat accident case evaluation tool to see if you have a legal case or call an experienced boat accident attorney at the LaBovick Law Group today.